We had a great time at the 2017 Nut Fry. Keep an eye on our Facebook page for the next great event! 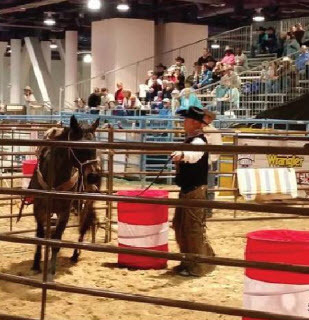 The Colt Starting Challenge is an environment for trainers to show their abilities as a trainer, but also show the qualities of a well-bred horse. Sound mine, confirmation and a ranch upbringing provide for those solid qualities. Contestants have just a few hours to showcase their skills with an unbroke horse for just a few hours. 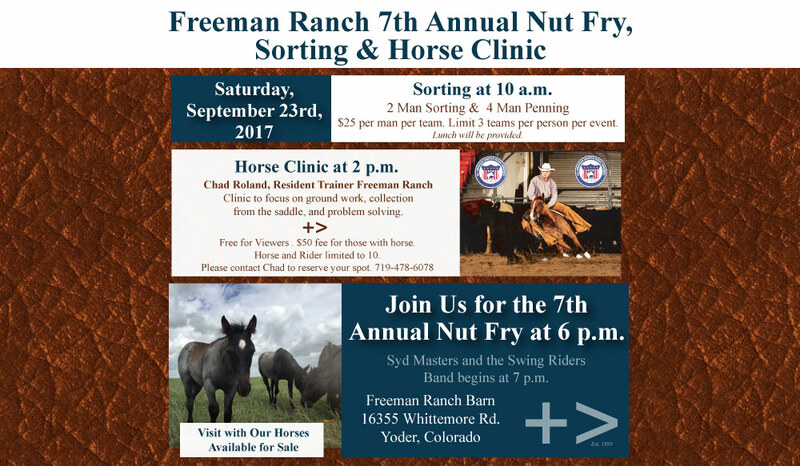 Freeman Ranch was proud to add their quality horses to this contest. Horses after the contest were offered to spectators and online for purchase. Congratulations to Ryan Bulkley, Fausto Navarro, Trey Young, Kyle Hockett, Jonath JR Robles, Lucia Clemetson, Steve Sward & Zach Kaup for making it to the finals. We appreciate your work with each of the horses.